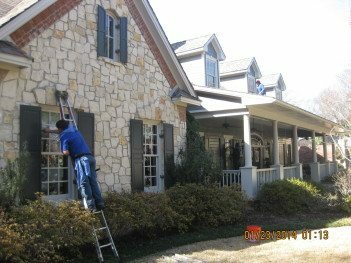 When Allshine’s residential window cleaning service employees are on your property, they take great care and consideration for your home and landscape. Booties are worn and throw cloths used to prevent debris and water drops from being left in your home or place of business. 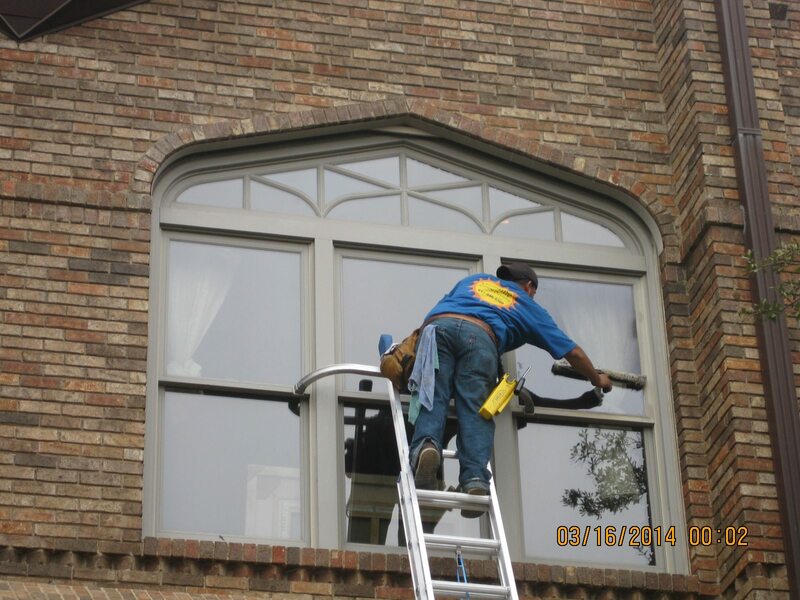 We thoroughly clean window sills, outside window tracks and screens. Allshine’s residential window cleaning experts are respectful and polite. We keep all appointments and contact you by phone with any scheduling changes due to weather. If we are going to be more than 10 minutes late, we call the customer and make a time adjustment. 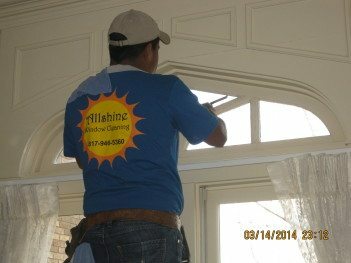 Allshine generally sends a two person team to wash your windows. An average residential window cleaning takes three hours, depending on the number and accessibility of your windows. 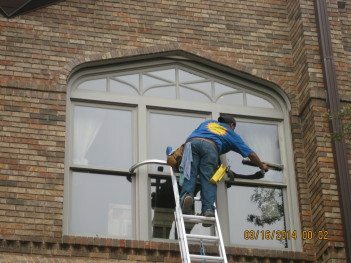 When our residential window cleaning service schedules a service we work with your schedule and give you the choice of a morning or afternoon appointment. Due to unexpected request for additional services, we plan for a two hour window when scheduling our residential window cleaners to arrive. At the end of every job, we give you the option of checking the quality of our work in order to assure your satisfaction. We strive to help you feel comfortable using us again and again and when the time comes, give us the greatest gift a cleaner can receive, your referral for our Residential Window Cleaning Trophy Club TX. Example #1 Standard Window: (outside only) is $5.00 per window including the screen and outside track, this includes firstand second floor. Example #1 Inside track: Standard Window (inside track) is $1.00 per window can only be cleaned if the window is opened. Example #2 are odd and end windows: they have no screen or track, they come in many sizes. Called half moon, transom, sidelight, eyebrow. Example #2 are odd and end windows: (outside only) $3.00 per window. There is an additional charge: for solar screens and leaded glass. There is an additional charge: for over spray, water spots, glass stain damage, excessive buildup on the glass including scraping or the use of chemicals to restore the glass. $100.00 minimum charge for all services. 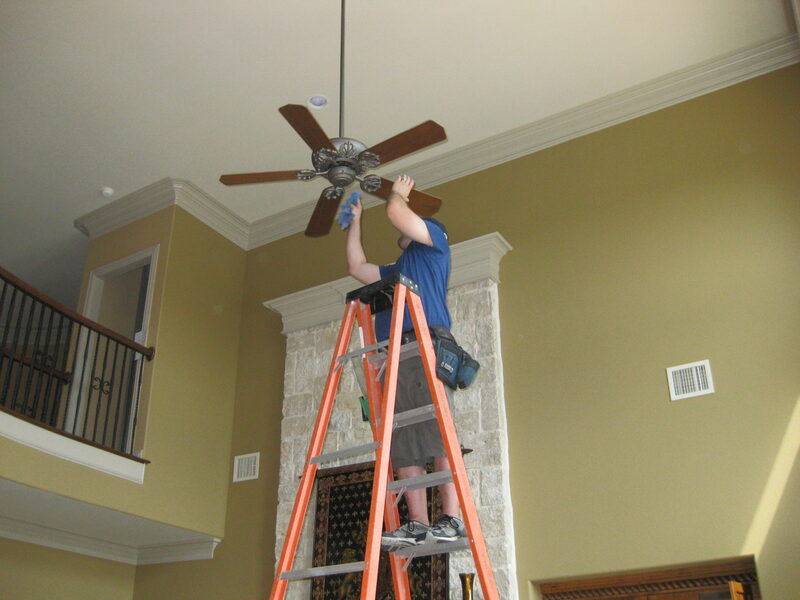 Let us take care of all of your hard to reach maintenance issues!